We are a group of individuals working together to assist others significantly less fortunate than ourselves by focusing on projects in rural areas based overseas. Village Foundations has been formed to create empowered communities, built upon four principle areas we believe are fundamental to enable sustainable village life; access to Clean Water Provision, Improved Agricultural Methods, Healthcare and Education. Our aim is to give a hand up not a hand out. Village Foundations has been operating since April 2010 and aims to create a model which can then be replicated in other countries in Africa and throughout the world. Our first Project ‘Mudzi Foundations’ (Mudzi is the Malawian word for village) is based in Ndanga Village, Malawi, and is currently providing 1450 families with clean water. 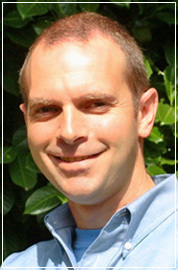 John Thornton, CEO of Village Foundations, initiated a project in Malawi (formerly known as the Joseph Project) in 2006, seeking to establish a sustainable means of rural villagers accessing and growing crops all year round that would serve them in acute times of need during erratic weather conditions. In order to achieve this 6.7 acres of land was bought in the Mulanje District of Malawi and a 48 metre borehole was dug. John Thornton’s background is in youth & community work, having received his first degree as a BA in Youth & Community Development (BAYCD) in 2003. He hopes to build on this with a post graduate qualification in ‘Africa & International Development’ with Edinburgh University. John has also worked for GOAL, an Irish based Non Government Organisation (NGO) as their Agricultural Project Manager. GOAL majored in Agricultural sustainable development and road infrastructures. John was employed as Agricultural Project Manager to oversee the development of permacultural gardens at Nutritional Rehabilitation Units and to access training for rural villagers in the need to grow a range of drought tolerant crops. John was also required to explore and access funding through the European Union and United Nations FAO (Food & Agricultural Organisation). John has visited Malawi approximately 10 times over the years and is passionate about creating a sustainable infrastructure that can be managed effectively and be replicated in other rural communities overseas.